There has been much hand wringing recently about the role of business strategy. The cause for alarm is simply this: in a world full of surprises and disruptions, no competitive advantage is sustainable for very long. True enough. And this is certainly an important reality. But what should we actually do about it? This is where viewpoints start to diverge. Some have begun to argue that the traditional concepts of strategy should simply be ditched in favor of pursuing an opportunistic stream of innovative activity. Out with the old products, in with the new. No longer do we need the rigors of mapping out an actual strategic roadmap. So why does this approach worry me? I’m all in favor of innovation. Who isn’t? My concern is that this argues for exactly the wrong philosophy. It is now more important than ever to strengthen the foundations of acting strategically, not to abandon them. Let’s examine these foundations. Strategy is, and always has been about answering three crucial questions. Where will we compete? How will we win? What will be our priorities for success? The answers to these questions will determine our destiny. Strategy is about making choices that cascade through an organization. The alignment of our business system, asset deployment and support of our people in pursuit of a common cause is essential for success. We can’t achieve this strategic coherence through an ad hoc approach. This is true in military strategy, in national policy and also in business strategy. So back to our challenge. What should we do about the fact that the competitive environment is changing faster than ever? Abandoning the three questions is certainly not the answer, because this would remove our navigation system. Instead we need to add a fourth question. How can we master a learning-based process for refreshing our answers to the three questions as the environment changes? Our need for a sustainable competitive advantage has not gone away. But its essential nature has changed. We will not find it in a particular product or service – the shelf life of these is getting shorter and shorter. 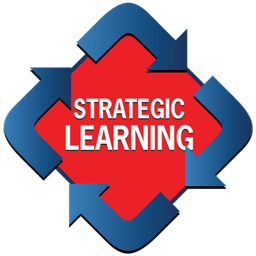 Our only sustainable advantage is the organizational capability to be adaptive through a process of rapid learning. This requires a robust process for understanding patterns and trends more quickly than competitors, and then updating our choices accordingly. Successful organizations move from one focus to another in a cycle of renewal; they never allow themselves to become unfocused. The answer is not to reject the fundamentals of strategy. Choice-making is its wellspring. Our survival imperative is to master strategic agility.